A clinical research team from the Mayo Clinic (Routman et al.) has reported 10-year oncological results on 974 consecutive low- and intermediate-risk patients treated with low-dose-rate brachytherapy monotherapy (using iodine-125 seeds) from 1998 to 2013. 783/974 patients (80 percent) had a Gleason score of 3 + 3 = 6. 153 /974 patients (16 percent) had a Gleason score of 3 + 4 = 7. 38/ 974 patients (4 percent) had a Gleason score of 4 + 3 = 7. 24/974 patients (2.5 percent) had a clinical stage of cT2b or cT2c. 93/974 patients (10 percent) had a PSA level of ≥ 10 ng/ml. 693/974 patients (71 percent) met criteria for low-risk disease. 281/974 (29 percent) met c riteria for intermediate-risk disease. While the research team did not routinely collect data on the percent of positive biopsy cores, they did define an “unfavorable intermediate-risk” cohort as having Gleason 4 + 3 or multiple intermediate risk factors. Predominant Gleason pattern 4 also affected the rate of distant metastases and prostate cancer-specific survival. Use of ADT did not. Local recurrence was only 2 percent. Radiation dose was consistently escalated, so the effect of dose differences failed to meet statistical significance. Patient selection has changed over the years. Low-risk men are now routinely steered towards active surveillance. Multiparametric MRI is now used to stage intermediate-risk candidates in order to find those among whom cancer is likely to have escaped the prostate capsule or penetrated the seminal vesicles — those patients may be offered multimodal radiation with both external beam therapy and a brachy boost. While use of monotherapy was rare among those with a Gleason score of 4 + 3 = 7, it is probably much rarer today. Monotherapy seems to be sufficient in favorable intermediate-risk men. This study had similar results to those reported by the Cleveland Clinic (see this link). It also affirms that monotherapy is all that’s needed for favorable intermediate-risk (see this link), and that brachy boost therapy is needed for unfavorable intermediate-risk patients (see this link). These are reflected in current guidelines (see this link). The use of ADT beyond cytoreduction does not seem to be necessary, at least in high-risk men receiving brachy boost therapy (see this link). This study did not address the toxicity of brachytherapy, which should be discussed with one’s brachytherapist. 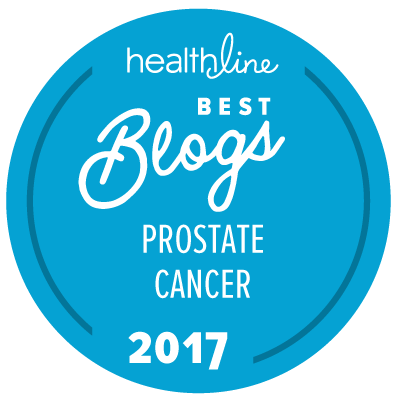 Editorial note: This commentary was written by Allen Edel for The “New” Prostate Cancer InfoLink. We thank the senior author, Dr. Brian Davis of the Mayo Clinic, for providing Allen with a copy of the full text of this study. No percentages are give for ED and other sexual dysfunction. The low-risk Gleason 6 may or may not have needed treatment. The exclusion of information is sometimes a problem when looking at studies and reports. This study focused on oncological outcomes and did not report any toxicity outcomes at all. But I agree that ED and sexual dysfunction are critically important, yet are often overlooked. The author notes that low-risk men are now routinely steered towards active surveillance. This procedure implants about 60 to 125 radioactive seeds in the prostate, sometimes resulting in urinary problems. The patient will literally become radioactive for months and up to 2 years. The patient may set off radiation alarms at airports, seaports, and border checkpoints. He will also be required to use a condom initially, and to have no close contact with pregnant women, infants, children, and young pets for months or longer. Occasionally he may even eject dangerous radioactive seeds during sexual activity or urination. He will also be required to carry a card in his wallet stating he is radioactive. If he dies, cremation may be a big problem because of the radioactive seeds. Anesthesia and a catheter will also be required. Brachytherapy has a probability of ED.